For a crafter, holidays take a lot more time to prepare for. . . but the work we put into them make them so much more unique and AWESOME for us! We often make our own decorations, which we can’t wait to set out as the holiday approaches & love when guests comment on them. Many of us make gifts that we put our hearts into and are so meaningful for us to give. We often skip running to the store and picking up a mass produced costume for our children and then smile with pride as others compliment our little one’s handmade costume. It’s all so fun! But we have to start early. Whereas most people can get away with planning out Halloween costumes once October arrives, I start planning in August! 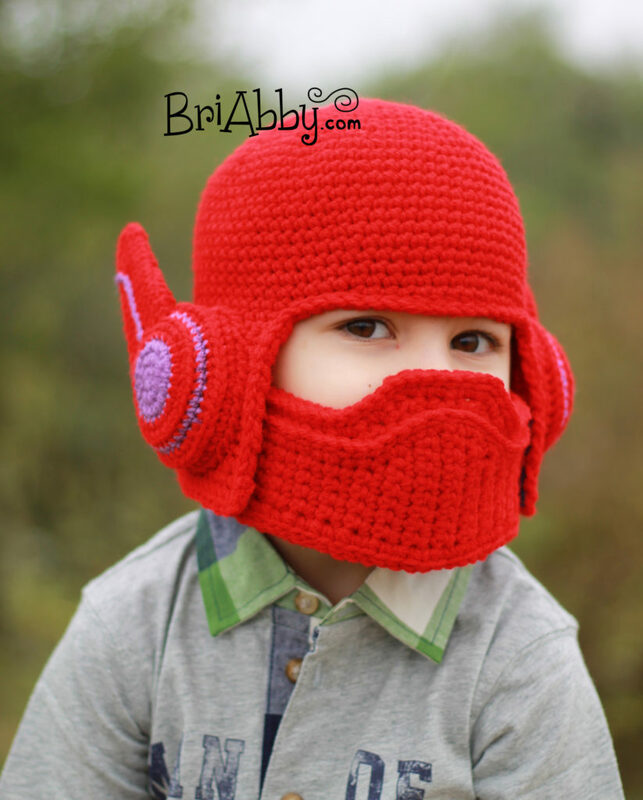 So I’m asking for your help now and we’re going to give away some patterns to make it fun! This is a picture of the very first Halloween costume I made my son. He loved it so much and I felt like mommy of the year! This year, I have no idea what to do for the little man. Any ideas? Last year he originally said he wanted to be a robot. I even went as far as buying some Paton’s Metallic yarn to start making it (I wasn’t crocheting the whole thing, just a hat. The rest we were planning to construct with boxes). 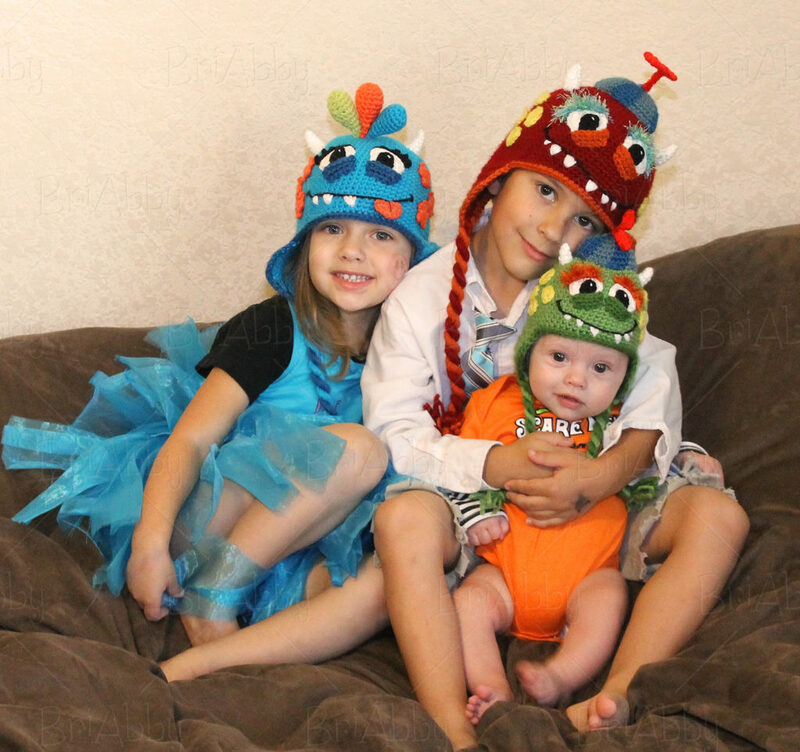 Then we decided to be a family of monsters so that idea got pushed aside. Should I attempt the robot thing again this year? Here is a picture of the very first Halloween costume I designed myself for my little girl. I’m going to be honest, I’m not really sure if I can ever beat this one. She literally was the cutest thing on the entire planet in this unicorn costume. We went to a huge Halloween party that year and of course she won the Halloween costume contest. Both mama and daughter were absolutely beaming as she went up to the stage to claim her award and the armful of prizes that she won because of it. What am I going to do for her this year? I kind of want to do a witch for her. Not your standard witch, of course, but maybe a sassy, stylish witch. What do you think? If you’ve looked around my website at all (we’re talking home page here) then you know that this is one of my favorites as well. This is my baby boy’s very first Halloween costume. 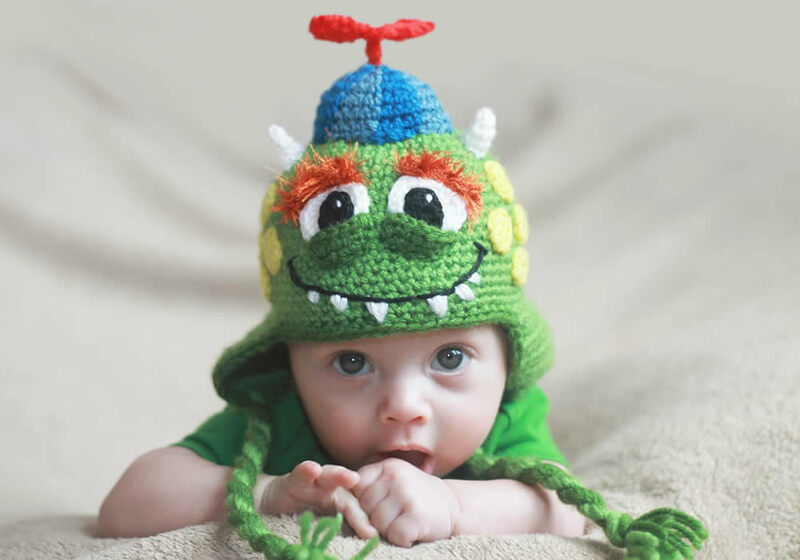 Isn’t he just the cutest little monster in the world? 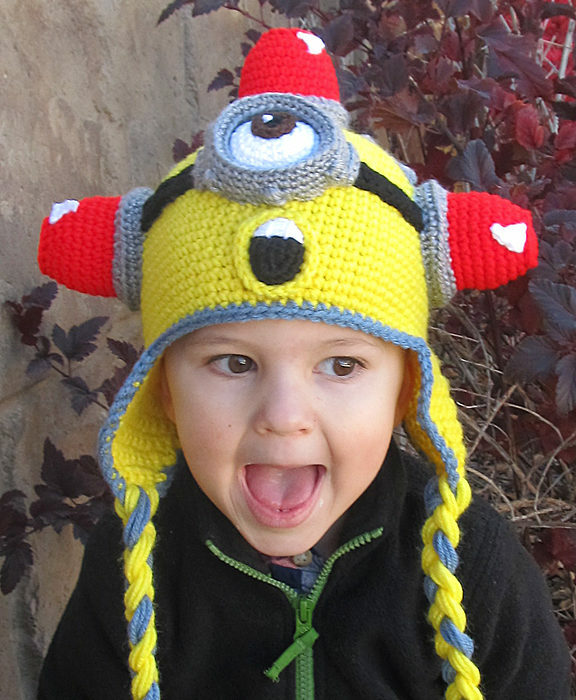 As I always do with my kids, I want to make him a halloween costume this year that involves a crochet hat, but I have no idea if it will stay on his hat for longer than 30 seconds! Someone gave me great advice recently that I’ve been working on where I’ll put the hat on him while he’s in front of a mirror. Then I gush over how awesome he looks in the hat and he’s much more likely to keep the hat on as he admires himself in the mirror. I’m hoping by Halloween he’ll be to the point where he doesn’t need the mirror but just likes to wear hats around knowing how cute he looks in them. But what am I going to make for him? These are a few more pictures of Halloween Costumes (or parts of them!) I’ve done for my kids over the years. The panda one was another one of my favorites. So let’s start throwing out a whole bunch of ideas and give away some patterns! Friday (8/25/17) I will pick 2 winners from the comments left on this blog to each pick out a free pattern. HOW TO WIN FREE PATTERNS! 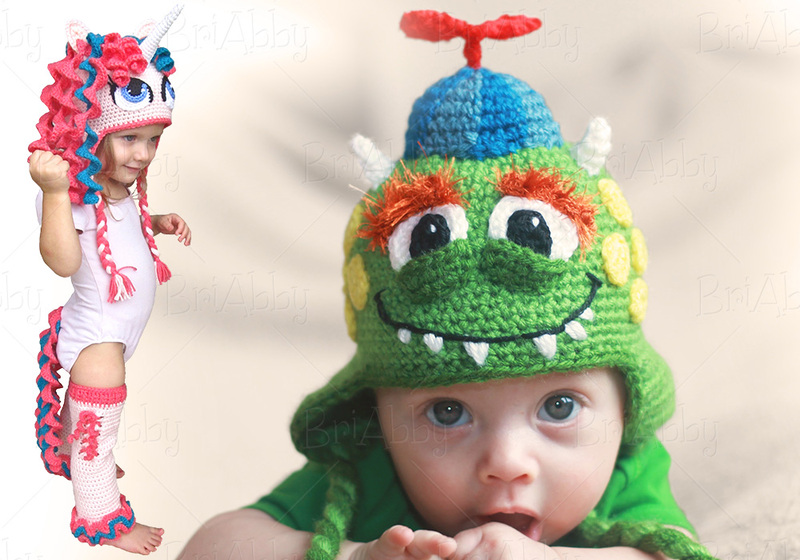 Thank you in advance for all your help and good luck on winning a free pattern!